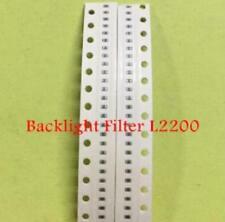 Note: this item is only a bare board, without any IC on it ! Compatible with: ipad 2. Dummy Display Phone. Dummy,Display Phone. Dummy & Display Phone. For Sony Ericsson. For Oneplus. For Xiaomi. For Huawei. For Amazon. 1 x IPAD 2 LCD Screen FPC. Unit Type: lot (5 pieces/lot). We stand behind our products. 16gb, A1396. 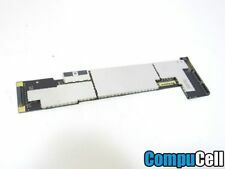 Logic Board for Apple iPad 2nd Gen WiFi 3G Unlocked. connector (missing retaining flap), it doesn’t affect functionality. A1395 LOGIC BOARD. LOT OF 2x GENUINE APPLE IPAD 2ND GENERATION 16GB WIFI. 2 logic boards. We will do our best to make it right! Will show signs of wear. Used OEM Logic Board/ Motherboard for A1395 EMC2415. APPLE IPAD 2 WIFI EMC2415. For Parts, as is. REPAIR PART : iPad 2nd Gen Logic Board. - 16GB (At least could be more). THIS IS A MOTHERBOARD FOR AN IPAD 2. IT IS WORKING. IT IS ONLY ICLOUD LOCKED. 64gb logic board. here is a lot of ipad 2 parts being sold for parts and not working. wifi board. back cover '. This board is working but is iCloud locked. Also, locking flaps for digitizer connector are missing. Sold as is, no warranty and no returns. Compatible Model: Apple iPad 2 (2nd Generation) A1395 WiFi ONLY. Warranty: No Warranty - AS IS - For parts or repair ONLY. 2x Apple Ipad 2 Back Covers With Batteries and Motherboards. Unknown Status. 2x Apple Ipad 2 Back Covers With Batteries and Motherboards. Unknown status. 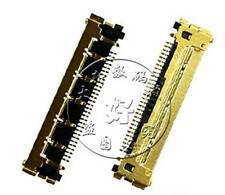 Why parts only : the motherboards have not been tested and may not work or be locked. 1 x iPad 2 WIFI IC. 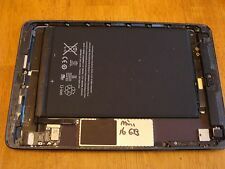 Logic board for Apple iPad 2nd Generation 32GB A1395, Fully working, No iCloud lock and is factory unlocked. 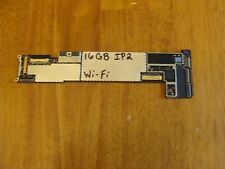 Logic board for Apple iPad 2nd Generation 16GB WiFi 3G Unlocked A1396, Fully working, No iCloud lock and is factory unlocked. Logic board for Apple iPad 2nd Generation 16GB WiFi 3G Verizon Unlocked A1397, Fully working, No iCloud lock and is factory unlocked. The iPad 2 motherboard or logic board is a printed circuit board responsible for allowing all the components of your device to work together. A motherboard is a crucial component of any computing system housing the graphics card, CPU, and RAM. An iPad 2 logic board diagram shows exactly where these components are located. What are some reasons to replace the motherboard? It's important to know the difference between issues that can be fixed with a motherboard replacement and those that can be resolved by other methods. An iPad 2 or iPad mini motherboard replacement may not resolve activation lock issues. In most cases, after you've wiped your device and reinstalled the iOS, if you're still having any of the symptoms listed below, a motherboard replacement may be your best option. You can find affordable new and refurbished options on eBay. Here are some signs that you may need a new motherboard. How should you search for the iPad motherboard on eBay? During your search for a motherboard replacement, you may find your search results yield more repair instructions than listings of motherboards for sale. When searching for a motherboard replacement on eBay, be specific about what you need. 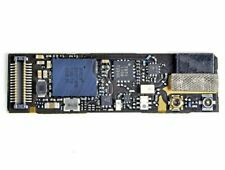 Instead of general searches such "iPad logic board," use wording that identifies the type of iPad you have, such as "iPad 2 logic board 64gb," "iPad 2 a1395 logic board," "iPad mini 2 logic board for sale," or "iPad2 shipment." The more specific you can be, the greater your chances of getting hits on the motherboard that you need.